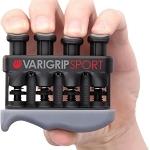 The Hand Exercise Board with Tools is a unique exercise board designed to help strengthen the user's wrists, hands, and forearms. 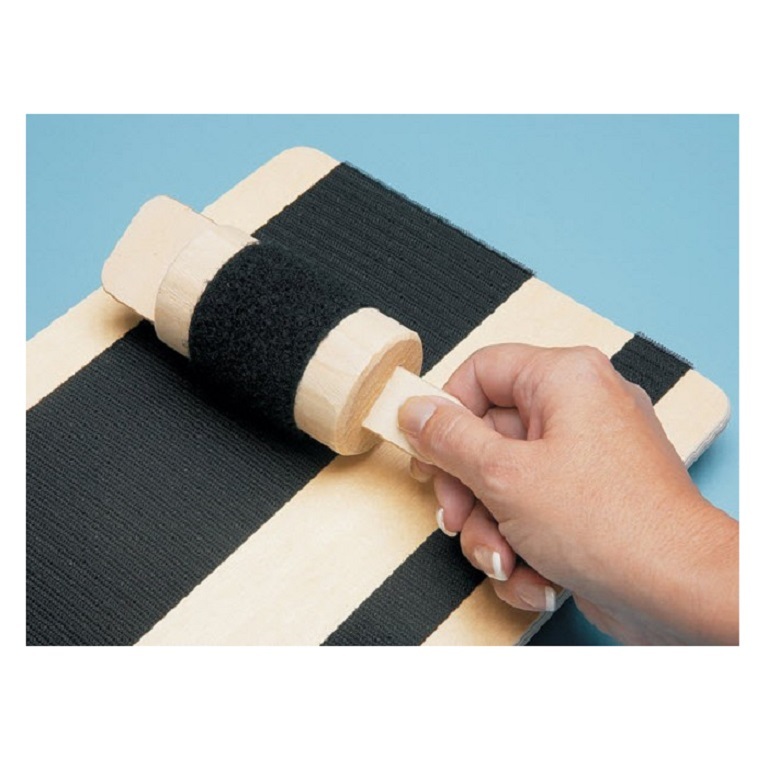 The tools attach to the board through the hook and loop strips to help the user improve pinching and gripping skills. 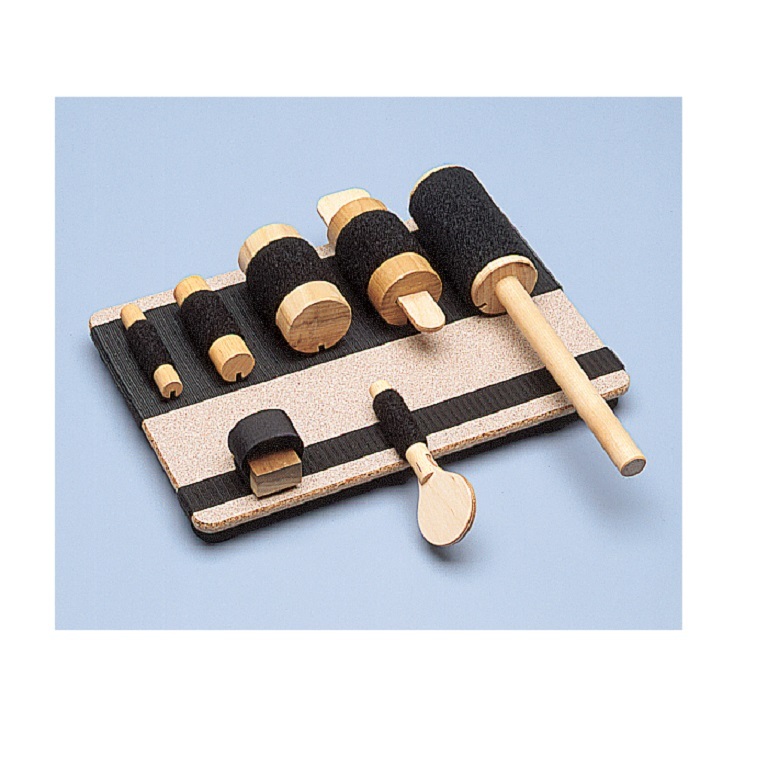 The Hand Exercise Board with Tools include a variety of sizes and shapes of tools designed to offer resistance to increase hand and finger strength, dexterity, and range of motion. The board is covered with hook and loop and has four suction cups on the base to provide a stable platform. 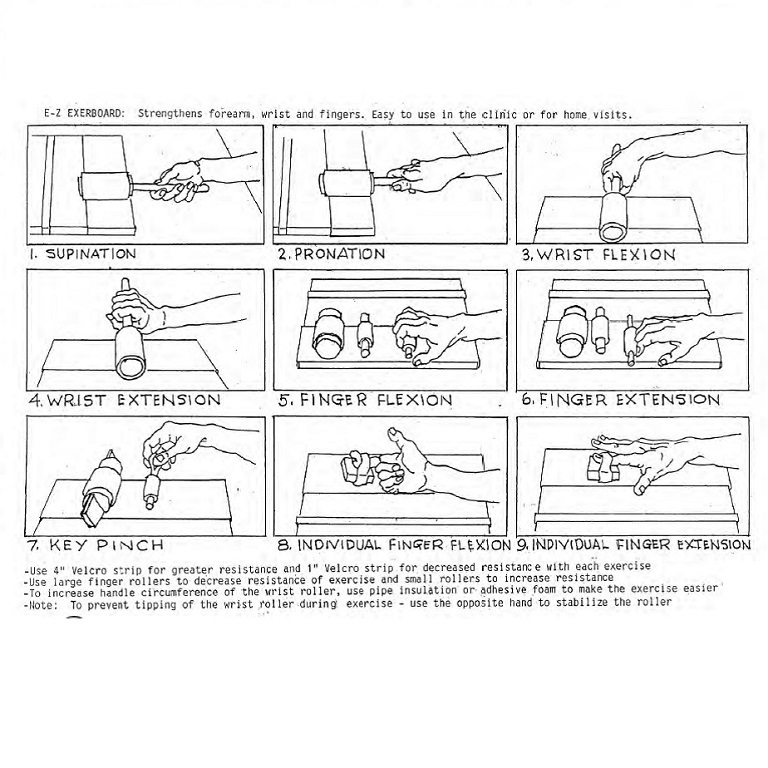 This therapy exercise board can be used to create a programs for improving manual dexterity, pronation, supination, and wrist flexion or extension. 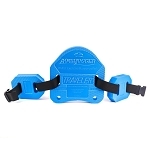 The 4 inch Velcro strip for greater resistance and 1 inch Velcro strip for decreased resistance. 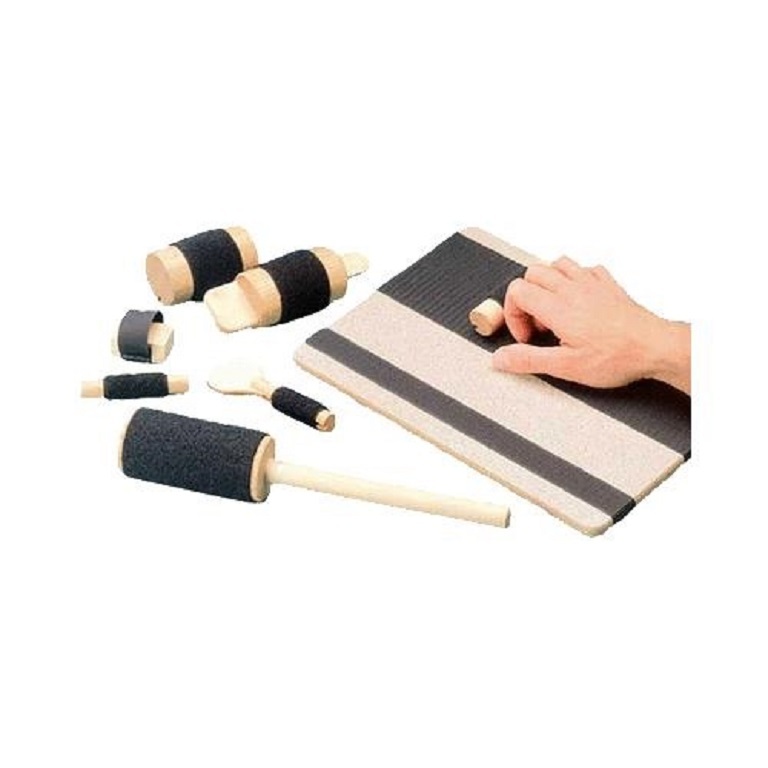 The larger finger rollers are used to decrease resistance and small rollers to increase resistance. 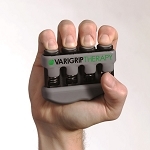 Increase handle circumference of the wrist roller to make exercises easier. Each board measures 9 inches wide, 13 inches long, and comes with one block and six hook-covered rollers. 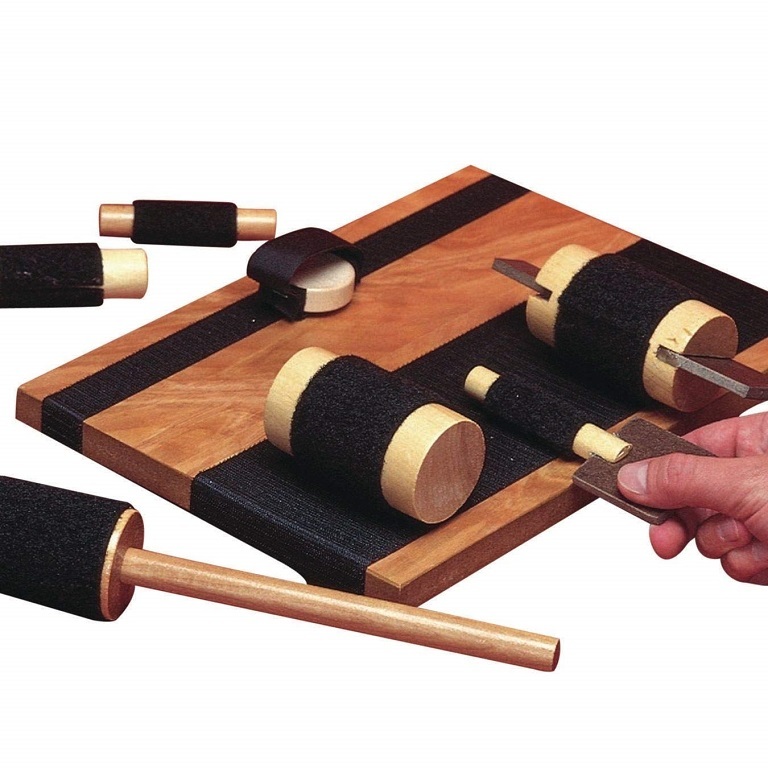 The Hand Exercise Board with Tools is helpful for restoring use to hands, wrists and forearms. Measures: 9 inches wide, 13 inches long. Includes: Board with four suction cup feet, 7 tools.